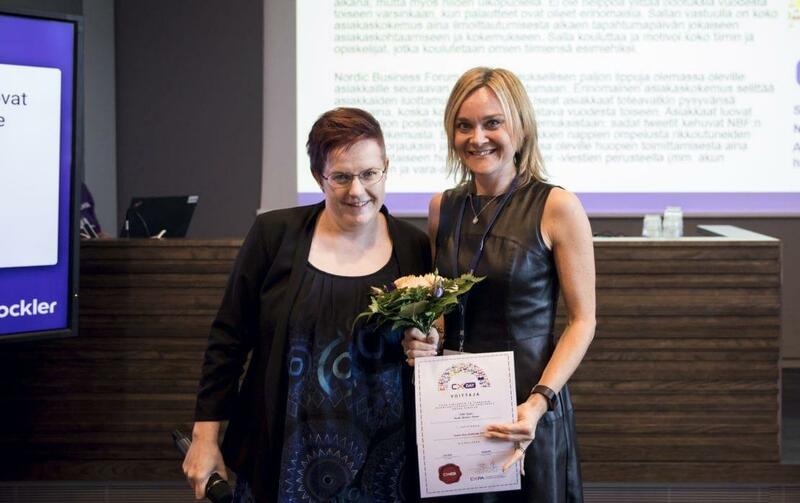 Nordic Business Forum and its Head of Customer Experience Salla Seppä were recognized by the Customer Experience Professionals Association’s local network (CXPA Finland) with an award for the best customer experience in 2018. 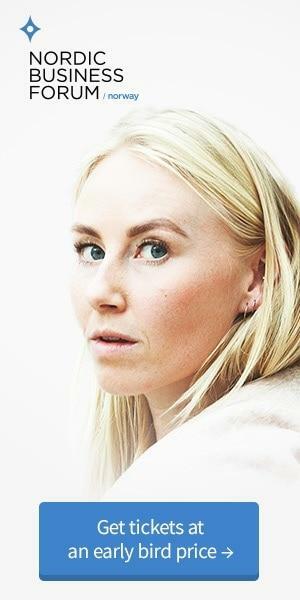 The CX Award Finland is presented annually to organizations and/or individuals who have demonstrated leadership and excellence in customer experience. The award was given at CX Day 2018 (October 2) as part of the International Customer Experience Day celebrations. “Receiving the CX Award Finland in 2018 is a recognition of the long-standing and ambitious work done at NBForum to set the standards for customer experience in Finland. We hope that our customer experience excellence inspires not only our event attendees but everybody who has been touched by it, in person, online, or otherwise. And with over 300 outstanding students continuing into their future careers with NBForum’s level of customer experience ambition and execution as their benchmark for success, we trust the impact of this recognition will last far beyond this year.” Read more on the award here and read the official press release here. Customer Experience Professionals Association is an international, non-profit organization for all customer experience management professionals. CXPA Finland is its local network and community active in Finland. Our aim is to foster meaningful encounters to help everyone succeed. We want to help organizations to provide better customer experiences and grow. We organize regularly interesting events around various themes related to CX. Our activities are made possible by a team of volunteers and partner companies.